← Pier Fire Update, 8am, 9/10/17: More containment, minimal growth. Updates will only be once a day now. Seems like things are getting under control! Fabulous. Thank you to all who have helped protect all of our mountain communities. No new map this evening. However here’s a photo of the Update board at California Hot Springs today. Very appreciative of all the great communication we have had! Fire Summary: Today firefighters continued to make good progress. Firefighters mopped up and patrolled areas on the east and northern edge of the fire. The areas near Sequoia Crest were patrolled and monitored for hot spots. Firefighters will continue firing operations from the northeast boundary of the Tule River Indian Reservation southwest to the 2 1/4 Road toward the Pine Flat area. Firefighters will continue to hold and secure the fireline along the 21S94 Rd. from Roger’s Camp to Coy Flat Campground. Firing operations will also continue north along hand and dozer lines toward Highway 190 west of Pierpoint Springs. These firing operations will bring increased smoke into the general area in and around the fire’s perimeter. Approximately 1,400 firefighters are working in the field, directly suppressing the fire, protecting structures, and establishing containment. Last night’s public meeting was livestreamed on Facebook, watch the meeting on TC Facebook filmed by Tulare County Fire Department. Watch a video on the SQF facebook page of Operations Chief Keith Gurrola as he describes the strategy for continuing firing operations near Camp Nelson and on the Tule River Indian Reservation. Evacuations: Tulare County has two levels of evacuations: voluntary and mandatory. There are currently no voluntary evacuations. Mandatory evacuations are issued when the fire poses an imminent threat to life and property. The following communities are under mandatory evacuation: Sequoia Crest, Mountain Aire, Rogers Camp, Pierpoint Springs, Cedar Slope, Camp Nelson, Doyle Springs, Alpine Village and Wishon. Area Closures: Sequoia National Forest trails, roads, and lands around the Pier Fire are closed (Closure Order No. 0513-17-34, https://inciweb.nwcg.gov/incident/article/5548/39662/. CAL FIRE has closed Mountain Home State Forest, and Tulare County has closed Balch Park. All areas are closed until the fire is brought under control. Suppression repair work will take additional time after the fire is contained; recreationists should plan ahead. Cow Mountain Road at its intersection with Rio Vista Road. Highway 190 east of Springville is closed at Upper Rio Vista Road to eastbound traffic. Highway 190 north of Ponderosa is closed at Forest Road 21S50 to westbound traffic. Dormant Brush, Hardwood slash, timber, including areas affected by tree mortality. Fire is located in a heavy timber mortality area. The southern portion of the fire is burning in a location with little to no recorded fire history. Warm temperatures and a building monsoonal influence supported active surface fire in high elevations above the morning inversion. Creeping, smoldering and backing were seen in interior islands of unburned fuel away from the current perimeter. Fire weakened trees continued to provide a strong mechanism for rolling and spotting. Provide structure protection for threatened communities and infrastructure. Construct direct and indirect containment line where feasible. Plan and construct contingency line. A full suppression strategy is to be implemented on the Pier Fire. Values at risk associated with the incident include human safety, private property, and associated improvements, electrical power infrastructure, Giant Sequoia groves, and cultural values. Minimize acres burned on privately owned and tribal lands. Apply tactics on public lands that offer the highest probability of success. The voluntary evacuation order for the Upper Rio Vista Area was rescinded yesterday. 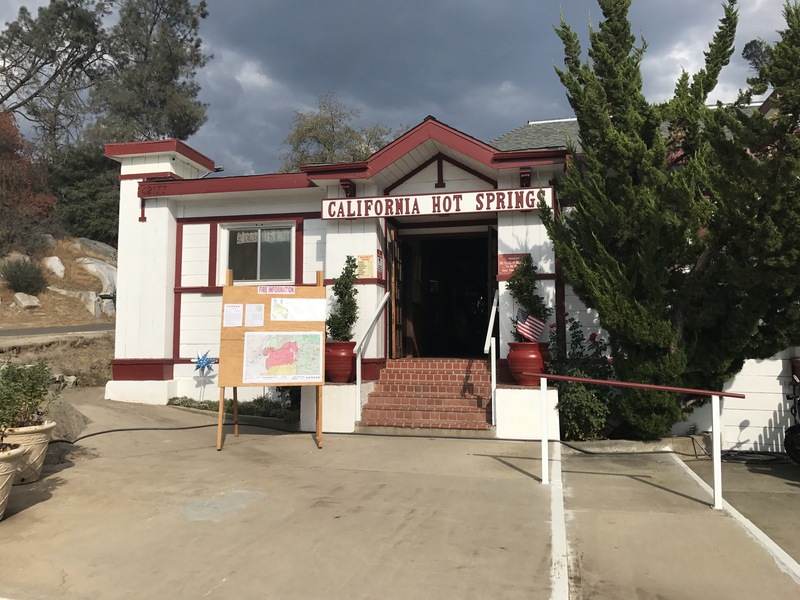 This entry was posted in fire, Fire Brigade, ponderosa and tagged cal fire, california fire, California hot springs, containment, fire, fire safety, pier fire, ponderosa, Springville, wild land fire. Bookmark the permalink.